Ecuador’s president, Lenín Moreno, has said the WikiLeaks founder Julian Assange had “repeatedly violated” the conditions of his asylum in the country’s London embassy, where he has lived for close to seven years, Guardian reports. Speaking to the Ecuadorean radio broadcasters association on Tuesday, Moreno said under the terms of his asylum “Assange cannot lie or, much less, hack into private accounts or private phones” and he could not “intervene in the politics of countries, or worse friendly countries”. Moreno fulminated that “photos of my bedroom, what I eat and how my wife and daughters and friends dance” had been circulated on social media but stopped short of directly accusing WikiLeaks of circulating hacked photos of his family and wiretapping his phone calls and private conversations. The Ecuadorean government, however, has said it believes the whistleblowing organization shared the photos, which date back several years to when Moreno and his family lived in Geneva. Moreno’s outburst was yet another sign of the Ecuadorean president’s waning tolerance for Assange’s prolonged occupancy of the country’s London embassy since mid-2012. “We should ensure Mr Assange’s life is not at risk but he’s violated the agreement we have with him so many times,” Moreno said of the WiklLeaks founder. The Ecuadorean government directly referred to WikiLeaks in a formal complaint to the special rapporteur for the right to privacy, Joseph Cannataci, at the UN’s human rights council on Monday. It accused the organization of using social media to spread hacked private photos and personal information from Moreno’s personal computers, tablets and other devices. 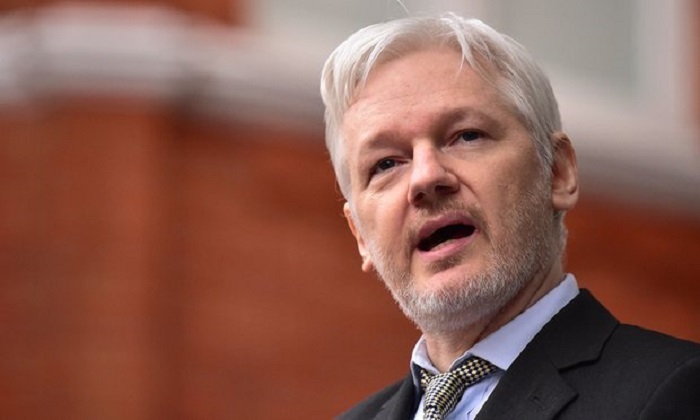 WikiLeaks tweeted on Tuesday that Moreno had said he would take a decision about Assange’s fate “in the short term” after it had reported on an “offshore corruption scandal wracking his government”. Known in Ecuador as the Ina Papers, the scandal alleges Moreno corruptly benefitted from an offshore account in Panama. Moreno denies any wrongdoing. In March, the Inter-American Commission on Human Rights rejected a lawsuit filed by Assange which argued that stringent house rules applied since October 2018 in the embassy violated “his fundamental rights and freedoms”. The legal move was also rejected by an Ecuadorean judge last year. Ecuador’s foreign minister, José Valencia, told the Guardian Assange’s conditions were in line with international law and a failure to follow them would breach the terms of his asylum. Moreno has also accused his predecessor turned arch enemy Rafael Correa of spying on him. In September 2017, months after taking office, he accused the former Ecuadorean president of planting a hidden camera in the wall of his presidential office. Correa denies any wrongdoing.